Nestled along a quiet street in the charming community of Silverado - offering over 53 acres of pathways & green space adjacent to the world class equestrian sport facility of Spruce Meadows. This immaculate family home features nearly 2100 sq.ft. 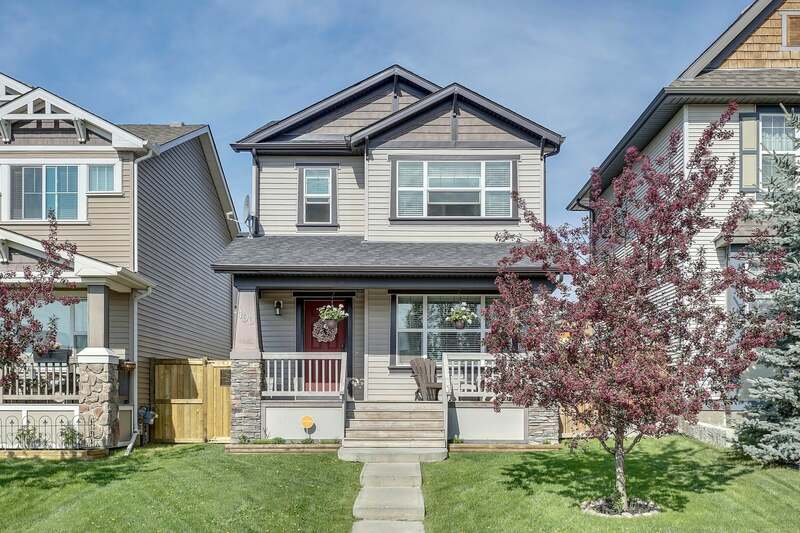 of tastefully decorated living space highlighted by an inviting front living room accentuated by a cozy gas fireplace & brand new hardwood floors that lead into the spacious upgraded kitchen & dining area. Upstairs offers two generous spare bedrooms, an upgraded bathroom & large master retreat with a sun soaked skylight in the 4pc ensuite. Complete with a FF basement with a laundry room, rec room & den - perfect for an office or storage. The west facing backyard and incredible over size garage with all the bells and whistles including an 8x8 roll up party door is perfect for entertaining. Conveniently located within walking distance to the park, schools, community garden and all the amenities Silverado has to offer.